Handmade paper vessel, made from abaca pulp, The vessel is sculpted in soft clay, then formed in plaster gauze. The pulp is dyed with pigments made into paper and molded around the gauze. Top is woven with cord wrapped with threads. 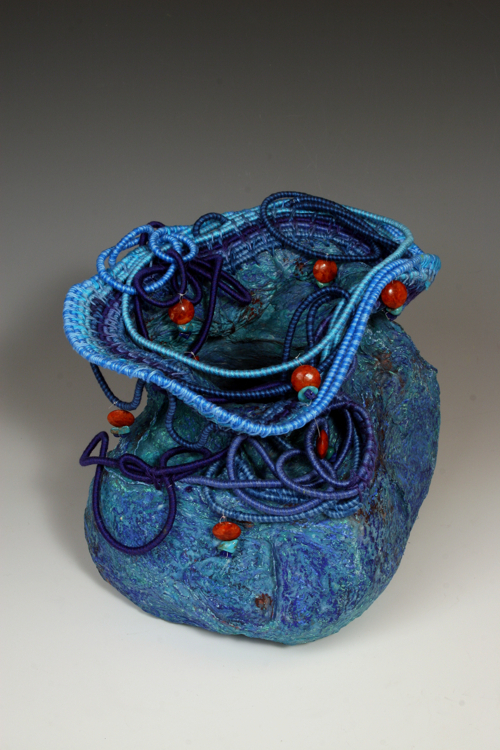 Coral and lapis stones sewn on to the top of vessel.